A Brocagh octogenarian had been buying groceries in her local shop since 1998 with monopoly money, Cookstown Court heard today. The pensioner was apprehended last week when the aging shopkeeper’s son finally took over the family business. Mary McKeevney (88), of Ballybeg Road, had been given the popular Christmas game in the late 1990s and mistakenly paid for a tin of corned beef and a pint of buttermilk on St Stephen’s Day 1998 using a Monopoly fiver. Having realised her good fortune, McKeevney continued to swindle the owner of Davidson’s Greengrocers, Ignatious Davidson (85), on a daily basis until her final purchase last Saturday night. 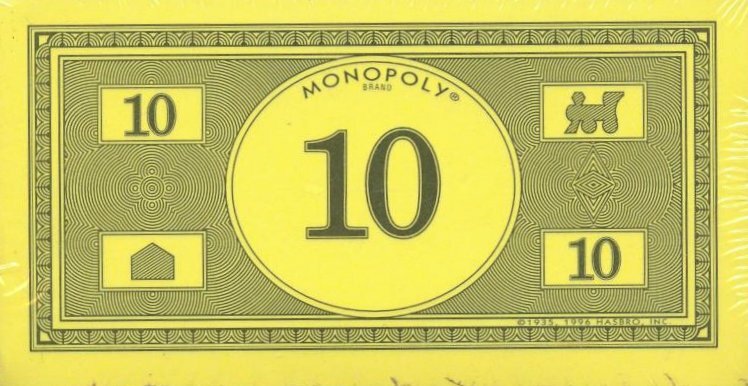 Mrs McKeevney admitted purchasing nearly 400 Monopoly boards over the following years, dishing out £500’000 in Monopoly money in that time for bananas, teabags, Nutty Crust bread and sucking sweets mostly. Police now suspect that McKeevney’s husband wasn’t actually murdered in May 1991 by Professor Plum with a piece of lead piping in the billiard room as initially believed following his wife’s statement that fateful night. Posted on March 19, 2013, in Brocagh and tagged billiards, Brocagh, lead piping, marylebone station, mayfair, monopoly, professor plum. Bookmark the permalink. Leave a comment.